I did a 10km downwinder today on the 10m Helium on the surfboard in waist high waves. The beach as a bit of curvature so the first part was cross-off with no wind on the inside. Great waves to bash but the wind was really flukey. I dropped the kite twice with no damage done though I did have to stop and fix the lines after the kite rolled. I have managed to overfly the front of the wind window a couple of times now so it is something I have to learn to watch out for. I kite in gustier conditions than most people though. The Helium has really good drift but is also fast turning so you can work the kite aggressively. By the time I got past halfway the wind was cross-on and up over 20 knots so I got to do some jumps and test the upwind. Jumps are really slow and floaty. Upwind is very good and there is heaps of depower there. The Helium doesn't look like your classic low aspect long centre strut wave kite but it is a good wave kite. It has way better low end than the 9m Airush Wave I usually use. Top end may be as high as 25 knots. Day #4. Once again 8 knots with the occasional 15 knot gust. I don't know why but the wind tends to be a bit more northerly this autumn, which is making things more flukey. I am now flying the kite one handed without looking much better now. I think the lower bar pressure meant that I wasn't initially feeling the kite so well, I mostly fly Legacy C kites which have pretty high bar pressure but you can always tell what the kite is doing through the bar. I was foiling quite well given the conditions but I still wonder how much of an extra lower end a 12m would give me. It might not be that much, 12m are often quite a bit slower. Anyway, the wind pushed up to 20 knots for about 20 minutes and I had a ball. After depowered the kite, it felt pretty comfortable. I learnt a lot about foiling slowly and foiling downward (centered balance, drive through the front foot). I doubt I would have been able to use a 12m in those conditions. That what riders feed back in the waves and on the foil have been, " Drift machine when you are going towards it in the waves or off the wind with a foil"
Makes things very easy where you can focus on progressing your own learning. Day #5. 17-25 knots so a chance to try the 10m out on a twin-tip. Wind range is huge, gusts seem to get absorbed and the depower is very linear. Jumps are not huge but they are very floaty. It's a very predictable kite. Unhooked is OK, but it's a bit more sensitive to trim than a C kite. You don't get ripped off the water when loading and popping but you travel a long way downwind. There is a lot of pull on the bar so you would have to be pretty strong to throw a handle pass. Kite loops are pretty mellow, but it does rotate around fast enough to catch you on the up-stroke. That pretty much concludes my testing. 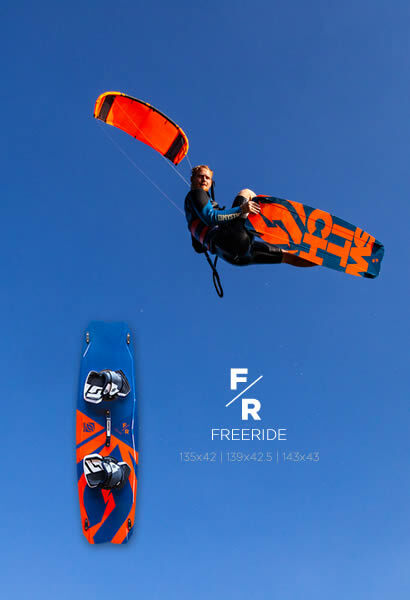 It's a great foiling and wave kite plus most kiters would be happy with it on a twin-tip as well. A 12m would probably fit my current quiver better, so long as it is not significantly slower than the 10m. Thanks for the extensive reviews SimonP ! I can't decide either, I'd like to have a go on a 12m to see how fast it is and how well it depowers. The Airush foil I am riding will not foil until I reach a critical speed, which is probably around 10 knots. I suspect the answer for me is going to be 12m will be easier to get on to the foil but the 10m will be preferable once I'm up and foiling. SimonP wrote: I can't decide either, I'd like to have a go on a 12m to see how fast it is and how well it depowers. The Airush foil I am riding will not foil until I reach a critical speed, which is probably around 10 knots. I suspect the answer for me is going to be 12m will be easier to get on to the foil but the 10m will be preferable once I'm up and foiling. This comes back to what Felix was saying about foiling skills (good=10m, beginner=12m). I also like to use the H3 as wave light wind so maybe 12m is the go and later look at getting a 9m as a step down ? Yeah, that's what I'm thinking too as I like my current 9m wave kite. However, I have yet to find a 12m+ kite that I like in waves, they don't react quite fast enough for the situations I find myself in. Hopefully the Helium is different. I flew Slingshot RPMs for many years and the 10m was awesome but the 12m was a dog mainly because the leading edge was fatter and the kite was only slightly bigger. I discovered later that they had designed the 12m as a 10m for big guys and it really wasn't a 12 m² after all. Just had my first session on the Helium 3 in 7m². This kite is insanely good. It feels like the Element 5, just more responsive and better depower. And no matter how badly you fly it in strapless jumps, you just cannot get it to drop out of the air. 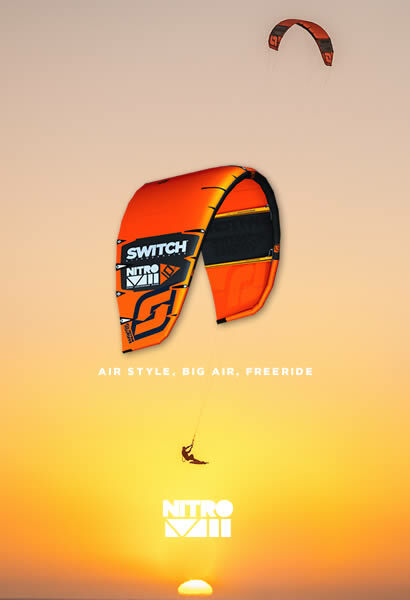 Best kite I have ever tried. Make one in 6m² and 5m² please. More video footage of kite in sky and water please. How is relaunch in super light wind? The one thing I love about the H2 was how great it relaunched in very light winds.